Ahhh... 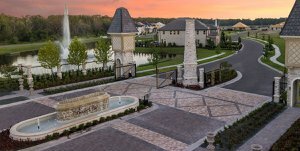 The Beautiful Life..... Belle Vie is a new gated neighborhood of single family homes from Beazer Homes. Residents enjoy scenic walking trails and a neighborhood park. 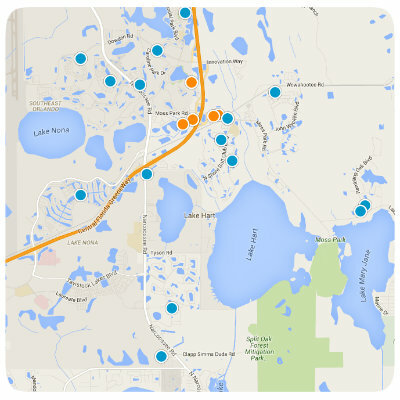 The 417 expressway is just outside the gates providing quick access to all points in Central Florida. Belle Vie is located off Dowden Road, just East of the 417 expressway. The neighborhood is diagonally across the street from Lennar's Storey Park neighborhood and both Sunblaze Elementary and Innovation Middle School are in close proximity to Belle Vie. All of the homes in Belle Vie are being built by Beazer Homes. Conservation and pond views are available to many of the homes in the neighborhood. Homes range in size from 4-6 bedrooms and approx 2900 square feet to 4900 square feet. Belle Vie is brand new to Lake Nona so there are very few if any resales. Give us a call today to schedule your viewing of the available new home models at Belle Vie.